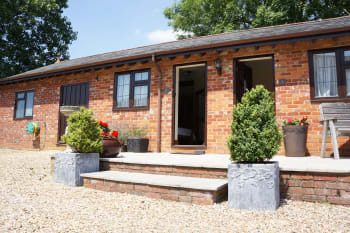 Beautiful 17th Century barn surrounded by farmland in close proximity to Lymington, Milford-On-Sea, New Forest, other coastal towns & walks is opne to you for a most enjoyable, relaxing stay. Horse riding, cycling, & great walking is all within easy reach, aswell as good local pub food & restuarants. Good, safe off road parking. Excellent Julie and Simon were the perfect hosts really enjoyed our stay. 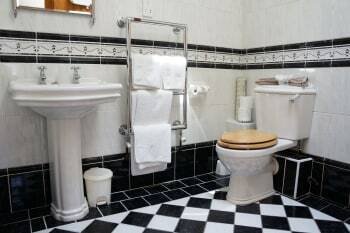 Very comfortable room with wet room facilities. The best thing about our stay was the way we were looked after by the owner Julie. She is a lovely and charming person and made great breakfasts. Nothing was too much trouble. Plenty of good pub restaurants in the area. We liked the Indian restaurant in Milford-one-Sea. We thoroughly enjoyed our stay with you. 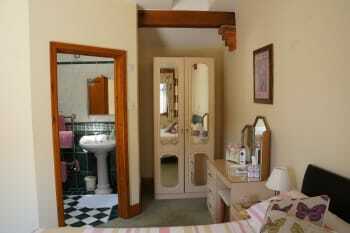 The ccommodation was of a high standard and the beds were extremely comfortable. The facilities were very good and a wide range of toiletries and tea/coffee/hot chocolate options were provided. The breakfasts were exceptionally good. Although the property is on a busy road you could not hear the road noise in the rooms. Thank you Julie for looking after us so well. A great spot to explore both the coast and the New Forest. The accommodation had all we needed and we especially appreciated a comfy sofa in the room and the fact there was a bath and not a shower. Everything you could possibly want was on offer for breakfast and our host was welcoming and helpful. We enjoyed the short trip on the small ferry to Hurst Castle (ideal for those not wanting to trek along the shingle spit) and the Sammy Miller Motorcycle Museum lived up to expectations. A meal at local pub The Crown also deserves a mention. Great accommodation run by a friendly and helpful family team. Enormous quality breakfast. Ty not to shoot past entrance when returning at night. Quite easy to miss the small sign. Wir wurden sehr freundlich empfangen,mit Hinweisen und einer Karte für unseren Ausflug in den New Forest und den umliegenden Pubs versorgt. Frühstück war sehr gut! Ausflug in den New Forest war ein Höhepunkt, tolle Landschaft zum wandern und Rad fahren und natürlich die Wildpferde ! Such a friendly welcome from our lovely hosts. Our suite of rooms were very comfortable, clean and cosy. Everything we needed had been provided. An exceptional breakfast, beautifully cooked. 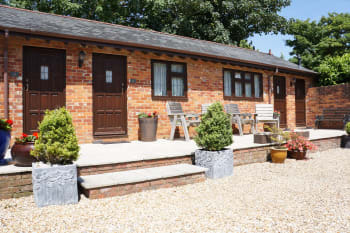 The Olde Barn is well-placed for trips into the New Forest and the lovely coastal towns / villages of Lymington, Milford-on-Sea and Christchurch. Definitely our first choice for visiting this area. We enjoyed great food at The Crown, Everton and The Royal Oak, Downton (both close to the Olde Barn). Very friendly and clean. Very nice rooms and great breakfast. Lots of very good restaurants and pubs. Ideal location for both sea and forest walks. A perfect place to stay in the New Forest. Julie and Simon were fantastic hosts and went far beyond the normal by providing a bottle of Prosecco to celebrate our wedding anniversary. The room was clean, modern and comfortable and the breakfast was superb. So pleased you chose The Olde Barn to celebrate your anniversary, both Simon & I hope that you do return, lovely to meet you both. Many thanks Julie. Brilliant stay. Everything perfect, host Julie, you couldn't ask for better. We won't look anywhere else when we're next in that area. Great rooms, great food, Thank you Julie. Very clean and tidy accommodation. Julie's breakfast was amazing (make sure your hungry) Unfortunately we had to cut our stay short to get back, otherwise we would have been there for the duration. Great launch point to take in all the sights of the New Forest which we enjoyed. Another very pleasant stay, accommodation first class with loads of little extras, food absolutely brilliant Julie the owner is lovely and looks after you well. Would highly recommend this b&b this was our 2nd stay and I’m sure will staying there for another holiday. So lovely to see you again & that you were able to relax for a few days in familiar surroundings. Many thanks Julie. The Olde Barn is almost home from home! Everything you need right down to toiletries (hairspray, face cream etc). The breakfast was lovely and Julie could not do more to sort out my husband who is a coeliac sufferer including gluten free biscuits in the room. The bath was nice and long with plenty of hot water. (Only thing I noticed was perhaps a new shower head!). Also a car is necessary for this lovely accommodation. If you are in the New Forest you should definitely stay here. Always lots of things to do in the New Forest and surrounding area. We visited Highcliff Castle (although more of a country home) and Hurst Castle, reached by a ferry or rather a long walk and both were very interesting. Any of the little villages/towns are pleasant for a wander and a cup of coffee. Same goes for the pubs for dinner though harder to find gluten free options here. My parents stayed here whilst house hunting in the area and had a wonderful time. They couldn’t rate Julie anymore highly. A mine of information and incredibly helpful. Julie most welcoming, nothing too much trouble.I mentioned at breakfast that it was my wife’s birthday, when we returned a card and bottle of wine was waiting for her, lovely touch. Le Blaireau at Carey’s Manor, excellent birthday meal. Very enjoyable stay,room and facilities very good. Delicious breakfast served every morning enough to keep you satisfied all day. Nothing was too much trouble for Julie, even down to the jug of fresh milk we liked in the afternoon. If we are down there again we would certainly go back. Friendly and welcoming, Julie couldn’t do enough for us. The room was lovely and had all we needed. Sammy Millar Museum well worth a trip - and close-by. Good food at Hare & Hounds and Smugglers Inn. Excellent host with a good knowledge of the area. Nothing was too much bother. 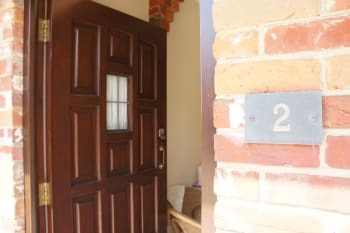 A Stunning property that didn't fail on any score and an owner in Julie that is fastidious and she is the ultimate hostess especially with the Mega Breakfasts for all tastes and requirements. 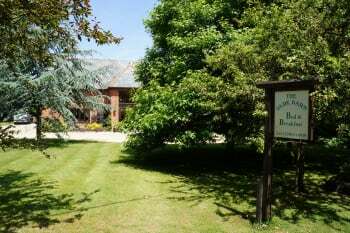 We would recommend a stay here to anyone looking for a great base in the New Forest. Lots of Local pubs and restaurants close by with high quality and reasonable prices recommended by Julie and tested by ourselves. There is nothing more that I can add to the above. Everything was excellent. Can think of nothing that can be improved. Thank you Julie for a very comfortable stay. The Royal Oak, lirerally 2 minutes away. Very good food and service. We were made to feel very welcome. Lovely breakfast. Comfortable room. Very enjoyable stay. Royal Oak excellent food. Highcliffe Castle. Mudeford Beach and the Noisy Lobster bar/restaurant on the beach excellent food. Russell Cotes art gallery and museum just off Bournemouth beach fantastic and different. A great B&B in a super part of the country. A very comfortable, clean and well cared for place to stay. Julie is a super host and the breakfasts were wonderful.I would recommend The Olde Barn as a first class place to rest your head! Barton on Sea costal walk to Milford on Sea(about 5 miles round trip) is well worth the effort. Julie made us very welcome and we would stay there again.We had a choice of cooked breakfast and cereals etc,the best cooked breakfast we have had for a long time. Thank you for a lovely weekend staying at The Old Barn! It was perfect. 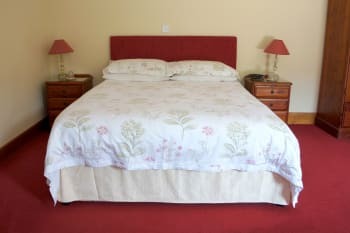 We were really pleased with our very comfortable room and facilities, and it was so peaceful - a real tonic. The surroundings are very rural and pretty. Thank you Julie for our delicious breakfasts which basically had everything we needed to set us up for days exploring the area and different towns and villages. It was great to meet you both and I have already recommended you to a friend! We had a friendly welcome from the pub just 5 minutes away -I think it's called the Royal Oak. It didn't take long to get to Lymington, Highcliffe or Christchurch by car at all and Hycliffe beach is very unspoilt and uncluttered, a long stretch of beach with one great cafe with a view of whole beach and the Isle of Wight. There are so many great pubs and restaurants in the area. Thank you, so pleased you enjoyed your stay at The Olde Barn but also that you had good experiences everywhere else too, great. Many thanks Julie. Very comfortable and relaxed. Great breakfasts! The loan of a local map leaflet was useful. Best to book ahead for meals at the Crown adn the Oak pubs. The Smugglers seemed less busy. We followed our own copy of Pathfinder walks for the area and had plenty to do and see with that as our basic guide.A trip to the Isle of Wight as foot passengers made a change too. We had a very enjoyable stay. Julie welcoming and friendly. Excellent breakfast, from cereals to full English. Rooms comfortable and equipped with everything you might need. Centrally located with easy access to Bournemouth and beyond to the west, and Southampton and Portsmouth to the east. A visit to the Mary Rose is a must. Locally Milford on Sea has a good selection of shops and places to eat. 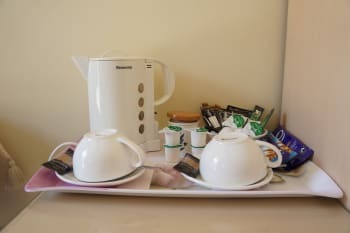 We were very happy with everything - the breakfasts were delicious, the cleanliness of the room could not be faulted, along with all the little extras put in and Julie is the perfect host. It was a very enjoyable stay. A beautiful area, a lot to see and do. The pub down the road was very good with a varied menu. This is a fantastic b&b venue. The rooms are spotless and spacious with comfortable beds and good showers. Lots of little extras in the rooms make you feel extra welcome. The breakfasts cannot be faulted. Plenty of choice of cereals, lovely fresh fruit, yogurt, seeds and toast. Best of all a fantastic cooked breakfast. Julie is a perfect host. Friendly and helpful but unobtrusive. She has good local knowledge and gives great directions and advice on where to visit. The location is wonderful, being only a mile or so from lovely beaches and, of course, the New Forest. You won’t find a better place. Buckler’s a Hard is beautiful and good value. 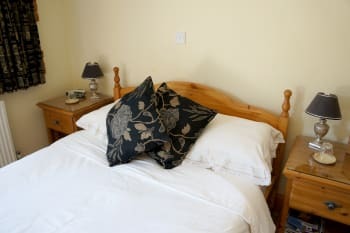 Lovely stay at the olde barn nothing was to much touble,Julie give us so much information about the local area and was so knowledgeable about local eateries.Her breakfasts and buffet was amazing.Could recommend it highly enough to anyone looking for a B&B in the area. Thank you for choosing to stay at The Olde Barn, so pleased you enjoyed your stay & hope that return, many thanks, Julie. Very friendly and welcoming. Felt at home from the moment we arrived and slept very well. Would recommend to anyone wishing to experience the New Forest or the coastline. Wonderful fish and chips from the car park kiosk at Barton on Sea. Choice of many local pubs to choose from. So lovely to meet you both, great weather for your trip, hope you return, many thanks Julie. Absolutely fabulous stay. We booked this as a last minute trip away and what a choice. The service was fantastic. Room was lovely, everything you could wish for was provided in the room, nothing was too much bother. Beautiful setting, convenient for visiting local attractions. Certainly would not hesitate to recommend this to other travelers and will certainly come back again. So lovely when guests really enjoy their stay, hopefully you will return for a longer stay & be able to enjoy the area more, many thanks, Julie. Fabulous, such lovely friendly people, a great room, didn't make us feel uncomfortable when going in to have breakfast, and the breakfast was so yummy and so much to choose from, nothing was too much trouble, definitely worth staying here. The Royal Oak pub, fantastic food and definitely worth a visit, Lymington is fabulous to visit and right in the New Forest. So pleased you enjoyed your stay & breakfast, would be lovely to see you again in the future. Many thanks Julie. We have been staying at The Old Barn for a number of years and it as always been excellent. Julie provides a great breakfast which sets us up for the day. 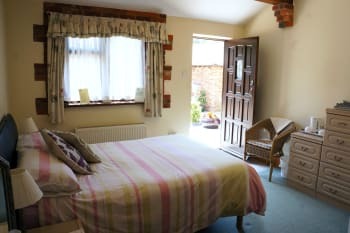 We have stayed at other B & B,S in the same area but only when The Old Barn is fully booked. Julie will always let you know which restaurants are worth a visit and which are good value. So nice to see you both & glad you enjoyed your stay once again, its always lovely when guests return over a number of years & still enjoy all. Many thanks Julie. Very comfortable overnight stay. Made to feel very welcome by owners. Great breakfast choices. Would definitely return. We were down for a family funeral so didn't really go anywhere but the food for the wake at clifftop hotel in New Milton was lovely and staff were very friendly. Highly recommended, great hospitality and tips for visiting local attractions and eating out. One minor opportunity/recommendation would be to add a shelf in the bathroom to house toiletries etc. Will definitely be coming back. Thank you for choosing to stay at The Olde Barn, so pleased you enjoyed your stay weekend despite the weather & do hope you return, thank you for your comments. Best wishes Julie. Excellent bed & breakfast,Rooms spotless a real eye for detail,breakfast excellent and Julie was always friendly and thoughtful !!! 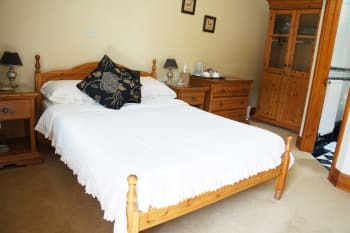 We shall certainly be staying with Julie again and would recommend this B&B to anyone looking for a peaceful break in this area. Would recommend The Royal Oak 2mins down the road Excellent food. Thank you for your kind words & hope that you make a return visit. Best Wishes, Julie. Well appointed, quiet room with substantial, well cooked breakfast. 4 vegetarian breakfasts were requested and they weren't a problem for our host who was very friendly and helpful. Glad you enjoyed your stay & enjoyed the breakfasts. Many thanks Julie. Our room was clean, comfortable and had everything that we needed for our two night stay. We were told that the breakfast was awesome and so it proved to be! Julie was charming and gave a lot of helpful advice on where to go and how to get there. We had a lovely dinner at The Royal Oak pub, two minutes away by car. It has recently been refurbished and there was a nice ambience and attentive staff. The food was very good. The New Forest is very pretty and there are loads of parking places. Get an official map(£2.50) from New Forest Information, it will be a great help for exploring. Thank you, nice to hear you enjoyed your breakfasts & also the newly refurbished Royal Oak, hope you visit us again. Many thanks Julie. From receiving the most warm and friendly welcome from Julie, this continued during our stay. The accommodation was first class and the choices for breakfast and the full English were delicious. 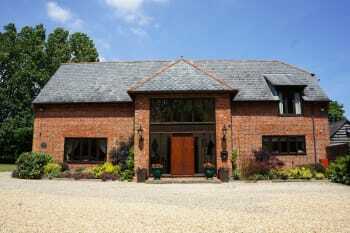 When we return to the New Forest would most definitely stay at The olde Barn if available. Have no hesitation in recommending to friends and have already done so. We were attending a friend’s birthday party and do not know the area too well but from what we did see will certainly be returning to do some serious sightseeing. Thank you for your kind words, so lovely that you had a great time & enjoyed your stay at The Olde Barn, do hope you visit us again. Many thanks Julie. Food at the Crown Everton was wonderful. Food at the Mayflower was over priced for what it was. Lovely and friendly welcome. Perfect location for easy access to all the sites. Rooms were very clean with everything you could wish for - and some lovely extras. Breakfast was delicious and cooked to perfection. If you are looking for an easy and friendly place to stay I wouldn't hesitate in recommending Julie and her wonderful home. Our second stay here. Enjoyed it both times. Stayed in room 1 in separate outbuilding. Large room with sofa. Very comfortable. Excellent choice for breakfast, we both chose to have a mix of good choice of fruit on offer followed by full English. Very enjoyable and easily kept us going until we got home mid afternoon. Would certainly recommend. We had a thoroughly enjoyable stay with you. The room is spacious and well furnished and we are impressed by your attention to detail - even down to a torch!! I think it would be very difficult to find a better breakfast. We look forward to seeing you again. gordon & Heather Smith. The Crown is very good. So pleased you enjoyed your stay & felt comfortable with everything, we very much hope you will return, Many thanks Julie. Absolutely perfect for what you need very welcoming . Plenty to do and lots of local pubs and restaurants to eat in and plenty of lovely places to visit . 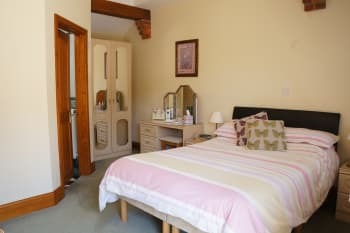 Thank you for choosing to stay @ The Olde Barn, nice to hear that you enjoyed your stay aswell as the local area & eateries, would be lively to have you return. Many thanks Julie. Lovely friendly hosts, Julie and Simon, nothing was too much trouble. Delicious breakfast. Well situated to visit anywhere in the New Forest. So pleased you enjoyed your stay,hope to see you again, Many thanks Julie. We had a wonderful time staying at the The Olde Barn, Julie and her family made us very welcome , we would always book this B & B again . Lots to see and do walking if you wish ! a wonderful coast line from Lymington to Bournemouth , great local food from Pubs and at very good value, with great service and we found very friendly throughout our stay. Thank you Allan and Janis Testot-Newick. Always so nice to know when guests enjoy their stay, hope you will return, Many thanks Julie. The welcome was warm and friendly. The breakfast was well cooked and very generous. The accommodation was first class. We really enjoyed our short stay and hope to return. Well placed for the crossing to the IOW and we visited the Island - Yarmouth, where you land, is attractive and has a range of shops and eateries. Service and accommodation were both excellent. Would be happy to stay again. Julie recommended the local pub which was very close and served excellent food. 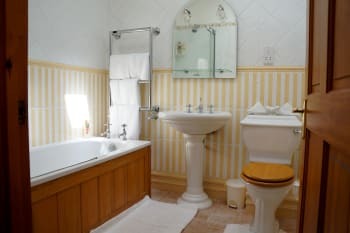 A beautiful nostalgic atmostphere with all the favourite home comforts, soft furnishings and everything you should need. Met with a very warm welcome . A very nice pub within walking distance. Nice to meet you all, glad you enjoyed your stay & hopefully you will return for a longer stay next time, Many thanks Julie. Great self-contain units. Julie serves an excellent breakfast, which is probably the best I have ever had is 20+ years of travel. Thank you for staying at The Olde Barn, so glad you enjoyed your breakfast, hopefully you will return for more!! Many thanks Julie. This is probably the best B & B we have stayed at for a long time. The greeting, freindlieness, and hospitality shown by Julie, are to be commended. Nothing is too much trouble. Rooms are immaculate, and extremely well equipped. The breakfast choice is wonderful, from fruit, cereal, and yoghurts, to full cooked English or what ever you fancy, nothing is too much trouble, and all of high quality. It would be our first choice if in Hampshire. We found good value pub food at the Royal Oak, which is actually within walking distance from the BB. We also used the Crown at Everton, the food is of a higher quality, but the service is so slow bordering on poor. We managed a pint and a main course in one and a half hours, and gave up on dessert and coffee when we saw how long others were waiting. It was a pleasure to have you staying, delightful guests, always welcome, so sorry The Crown was unusually dissappointing,hopefully you will be in Hampshire again! Many thanks Julie. Great B&B. Prob one of the bast I've stayed at. Made to feel very welcome. Breakfast was great, both in quality and amount. Rooms very nice and very quiet as they are well away from the main road. Our room was perfect for 2 , very clean and nicely decorated. Well located with the coast being close and the new forest about 15 minutes. I never like to comment without finding some negatives. I struggled to find any here apart from the wifi. Could usually get on to the wifi but was a weak signal so struggled a bit without having to go outside or stand in the window. The wifi is the only reason I didn't give 5 stars all round. So with better wifi in the rooms I think this is close to a perfect B&B. With the entrance being on a bend it's a bit tricky to see the sign until you are very close but our sat nav with the given post code was spot on. With easy access to Lymington, the New Forest and Christchurch it is well located. Some nice local pubs and Hurst Castle is only 10 minutes away (well the ferry to it is anyway) and is an interesting place to visit. Many thanks for all your kind comments, very much appreciated, the wi-fi can be a little weak but a main pc is available if required. Hope to see you again. Many thanks Julie. Lovely to meet you both, glad you enjoyed the breakfasts, hope you return some time, Many thanks, Julie. Thank you for your review, would be lovely to see you again. Many thanks Julie. Really enjoyable stay. Made to feel welcome. Would use again. Thank you, glad you enjoyed your stay & hope you return another time. Many thanks Julie. Location is ideally placed for the coastal and forest walks. Numerous pubs, that cater for all day eating. Also excellent fish and chips nearby in Milford & Barton on Sea. Thank you, hope to see you again, Julie. Charming and hospitable throughout our stay. Plus a beautiful surprise for my partner who's birthday was on the weekend of our stay, Julie gave her a Birthday card and a lovely bottle of wine. Everything about our stay was perfect in every way. The accommodation was 5 star, Breakfast was absolutely fantastic. We will definitely be going again and can't recommend it enough. Thank you for looking after us so well. Julie has all the info you could want. From good local dinning to Horse riding in the Forest. Many thanks for your lovely comments,so glad you had a great birthday weekend & look forward to seeing you again, Best wishes, Julie. 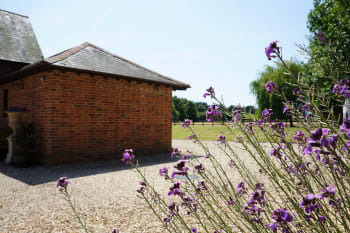 Lovely rooms located in outbuildings close to the main barn conversion. Everything was provided, so if this is a last minute stay you just need to buy a toothbrush! Breakfast was cooked and served by Julie in the main house and we wanted for nothing! Great location set back from the main road, so easy access to Lymington and the surrounding coastal villages. Julie our host was lovely and recommended places to visit and dine. We'll be back! We know the area quite well but needed suggestions of where to dine. Julie recommended the The Cliff House at Barton on Sea. Our table overlooked the sea and we were treated to a beautiful sunset. Great food and friendly efficient staff. So glad you enjoyed your stay, we had good fun! & so pleased you had a good table at The Cliff House to enjoy the view, many thanks, Julie. Needs better sign on road. Hard to see at night. Easy to pass by. Would be better to have small individual new toiletries and other creams etc. Breakfast was excellent and plenty to eat. Good quality produce obviously used. Owners charming. Would stay again if passing. Host recommended The Crown which was as described. Had a lovely meal a d staff very friendly. Was just an overnight stay on our way so did not visit anything locally. Thank you for your comments, glad you enjoyed your brief stay, Many thanks, Julie. We had two superb meals at Le Perle and The Lanes. Lymington market was great to wander round on Saturday morning. Lovely to meet you all, so glad you had a good time, hope to see you again, many thanks, Julie. Lovely home, friendly and helpful owners. Great full English breakfast. Well placed for the New Forest, Lymington coast etc. Excellent meal at The Crown which is close by but do book. So glad you enjoyed your stay at The Olde Barn, hope you enjoyed the rest of your great journey away from Australia. Many thanks Julie. Julie has been doing B/B for many years and it shows. A delightful lady where nothing seems to much trouble. A lot of extras in the room. We stayed in the old barn and would definitely recommend it and we will be going back. The Crown pub in Everton is a good place to eat. Great food freshly prepared so a little wait but well worth it. A bit slower than usual waiting for deserts, but a great selection of food for a pub and reasonably priced. You need to book to ensure you get a table. The water gardens less than a mile away are well worth a visit if you like fish, ducks and doves. Lots of little coffee shops in Milford on sea. Thank you for your lovely comments, glad you enjoyed your stay & that we will see you again. Many thanks Julie. Julie is a very kind and caring hostess and went out of her way to make our stay a very memorable one. We could not fault anything! Such high standards take a lot of hard work to achieve - Julie and Simon have achieved! We loved our stay at the Olde Barn and our host Julie was amazing. Nothing was too much trouble and she definately goes that extra mile with her guests. We would definately stay again and have already recommended to my sister who has booked for August bank holiday. Can't say anything negative about our stay as we had such a wonderful, relaxing time. Extremely friendly and helpful, felt very welcome. Great recommendation for dinner. A beautiful home. The local pub is literally 2 minutes away, the Royal Oak, great food, children friendly too. Beaches​ 20 minute drive. Heart of most things to do in the New Forest. This is a lovely place to stay.